The food & beverage manufacturing industry is rapidly changing. With tens-of-thousands of establishments creating billions of dollars in output, it’s imperative for professionals to remain up-to-date on the latest food & beverage processing news. This site serves as a collective of information for facility decision-makers, in order to remain competitive and manage critical issues. 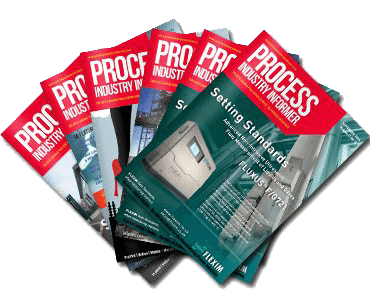 Avoid regulatory issues by remaining current on food & beverage processing & production news. As government bodies seek to create a consumer-friendly and safe market, legislation and guidelines are continually updated. Armed with the knowledge of happenings in local and global jurisdictions, engineers, plant managers, facility maintenance professionals, and other decision-makers can make the changes necessary to remain compliant. Insight into regulatory or safety-related changes that have the potential to impact the industry will also be highlighted, enabling professionals to preemptively adapt policies and procedures for smooth transitions and financial benefit. News regarding specific facilities and companies will also be available, so professionals can keep a pulse on the market’s behaviour and attitudes. Gain insider knowledge on the latest trends. With every generation, a new breed of consumers emerge, changing the market forever. This, paired with industry innovations and developments, makes staying abreast of trends critical to remaining competitive. As a forward-thinking food processing magazine, this site will discuss notable consumer, product, and ingredient trends as they emerge. Know the latest developments in sector-related research and development. Awareness of new technology, products, and innovative practices is imperative for market success, as well as facility profit. As fresh concepts are pioneered, detailed specs, analysis, and information of estimated return on investment can provide decision-makers with the data needed to make educated choices on implementation. Learn methods and practices that lead to better food & beverage manufacturing facility management. In a complex industry, finding solutions for processing and manufacturing issues can be challenging. Knowing developments and best practices for food packaging and design, logistics, and plant operations leads to smoother operations, better end-products, and more satisfied clients. Obtain the latest information for a wide variety of niches. Everything food & beverage manufacturing professionals need to know, in one place. As an up-and-coming comprehensive online resource for the manufacturing and processing industries, this site aims to host all the news professionals need to manage successful facilities. Data will be continually updated to ensure important information is relayed to those who need it the most, and the archives will remain available for future research as needed. Be sure to bookmark this site for easy access to all essential food processing news.